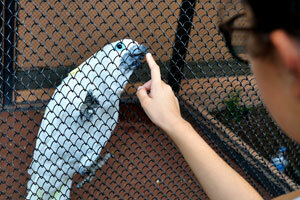 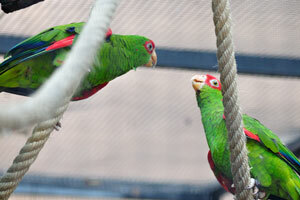 These parrots greets people immediately after the entrance to Loro Parque. 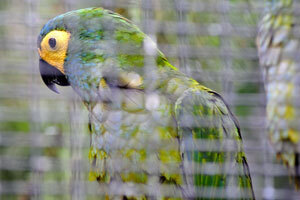 The blue-headed parrot, also known as the blue-headed pionus “Pionus menstruus menstruus”. 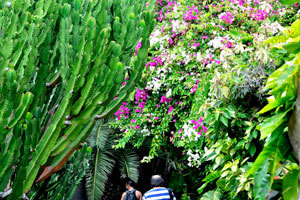 A huge euphorbia tree grows in Loro Parque. 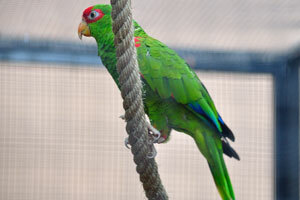 The crimson-bellied parakeet “Pyrrhura perlata perlata”. 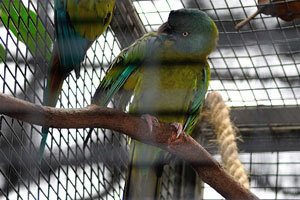 The green-cheeked conure or green-cheeked parakeet “Pyrrhura molinae restricta”. 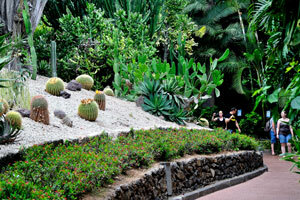 There is the succulent garden in the park. 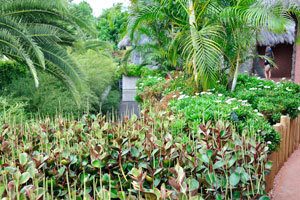 A lush greenery surrounds visitors on their way. 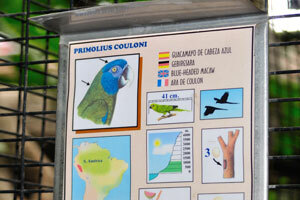 The information board reads “Primolius couloni, Blue-headed macaw”. 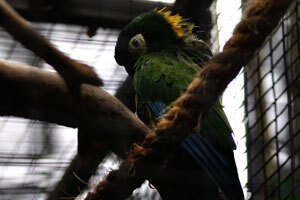 The blue-headed macaw “Primolius couloni”. 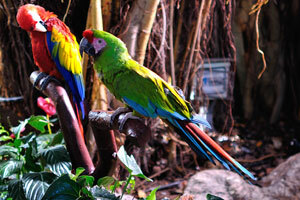 The red-fronted macaw “Ara rubrogenys”. 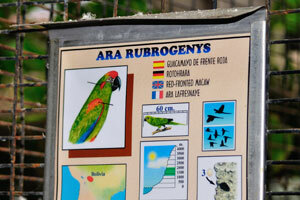 The information board reads “Ara rubrogenys, Red-fronted macaw”. 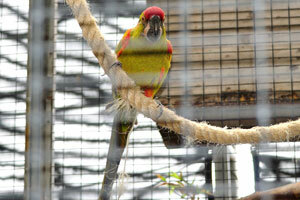 The golden-collared macaw or yellow-collared macaw “Primolius auricollis”. 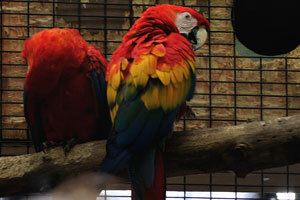 The scarlet macaw “Ara macao” is a large red, yellow, and blue South American parrot. 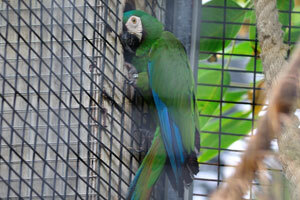 The great green macaw “Ara ambigua”, also known as Buffon's macaw. 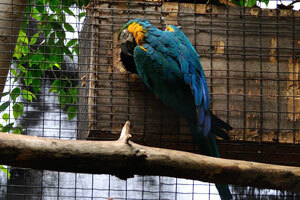 The blue-and-yellow macaw “Ara ararauna”. 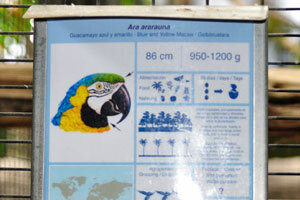 The information board reads “Ara ararauna, Blue and Yellow macaw”. 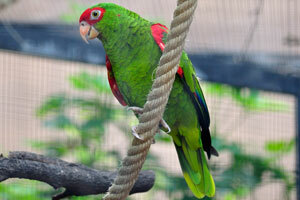 The chestnut-fronted macaw “Ara severa”. 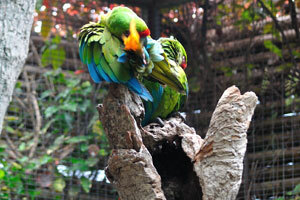 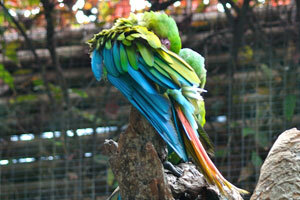 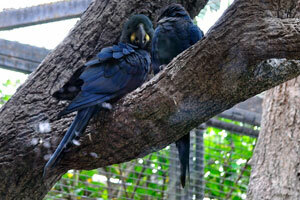 The great green macaws “Ara ambiguus” are cleaning their feathers. 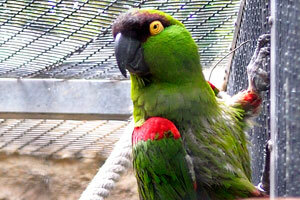 The great green macaw “Ara ambiguus”. 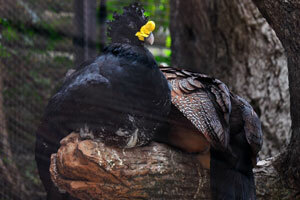 The great curassow “Crax rubra” is a large, pheasant-like black bird with yellow knob on its beak. 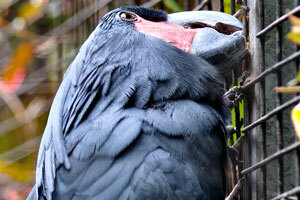 The hyacinth macaw “Anodorhynchus hyacinthinus”. 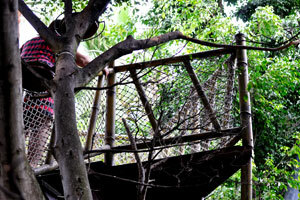 A viewing platform is on the canopy walkway. 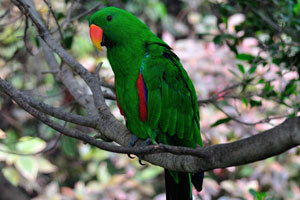 The eclectus parrot “Eclectus roratus roratus”. 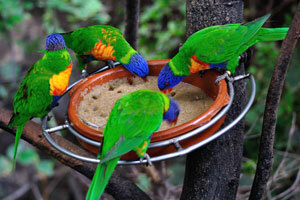 Bright colorful Rainbow lorikeet parrots are feeding from bowl with porridge. 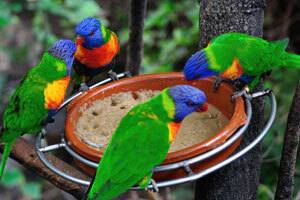 Bright Rainbow lorikeet parrots with blue heads are feeding from bowl with porridge. 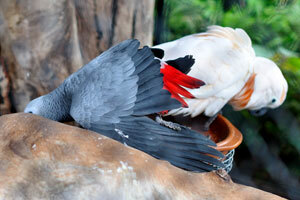 The sulphur-crested cockatoo “Cacatua galerita”. 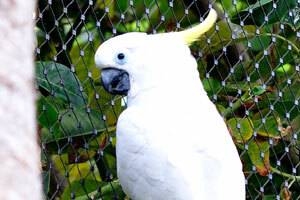 The sulphur-crested cockatoo is a relatively large white cockatoo found in wooded habitats in Australia and New Guinea. 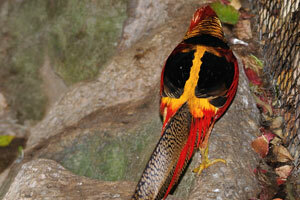 The golden pheasant “Chrysolophus pictus”. 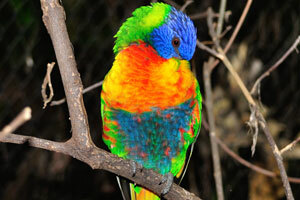 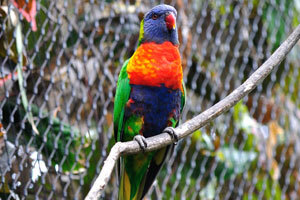 The rainbow lorikeet “Trichoglossus moluccanus”. 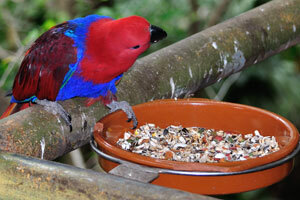 Red “Eclectus parrot” female is feeding from bowl with seeds. 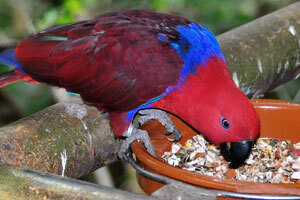 The female of eclectus parrot “Eclectus roratus” having a mostly bright red and purple/blue plumage. 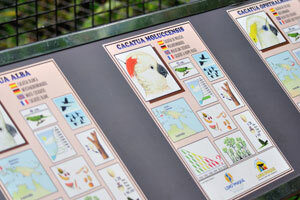 The information panel reads “Cacatua alba, Cacatua moluccensis, Cacatua ophthalmica”. 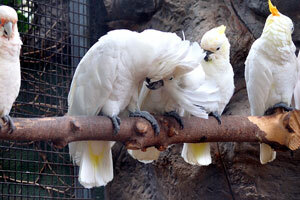 Cacatua alba, Cacatua moluccensis and Cacatua ophthalmica. 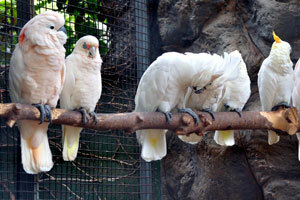 Three different species of Cacatua are sitting on a perch. 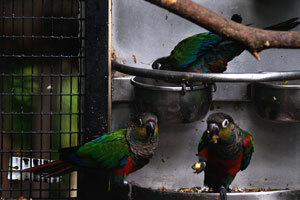 The gang-gang cockatoo “Callocephalon fimbriatum”. 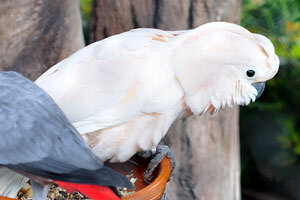 The head of Palm cockatoo. 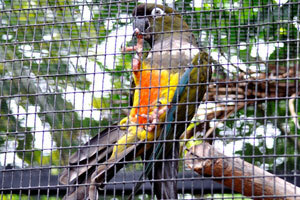 The palm cockatoo “Probosciger aterrimus”. 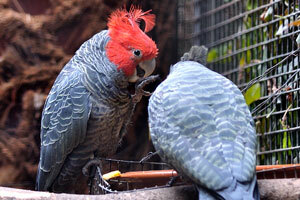 This red tongue belongs to the palm cockatoo. 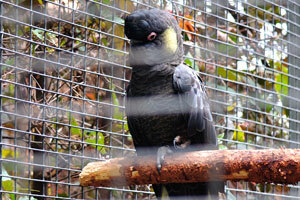 The southern yellow-tailed black cockatoo “Calyptorhynchus funereus xanthonotus”. 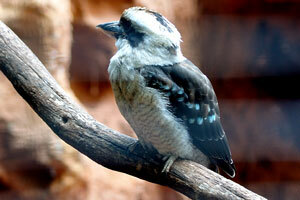 The laughing kookaburra “Dacelo novaeguineae” is a bird in the kingfisher subfamily Halcyoninae. 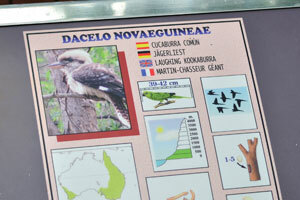 The information panel reads “Dacelo novaeguineae”. 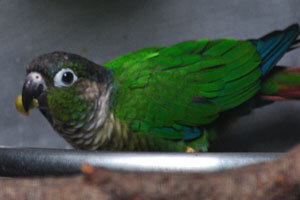 The burrowing parrot “Cyanoliseus patagonus bloxami”, also known as the greater Patagonian conure. 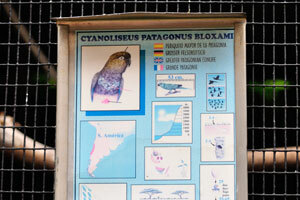 The information panel reads “Cyanoliseus patagonus bloxami, greater Patagonian conure”. 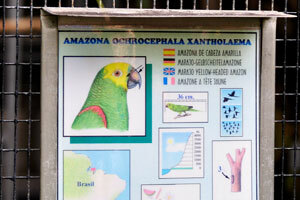 The information panel reads “Amazona ochrocephala xantholaema, Marajo yellow-headed amazon”. 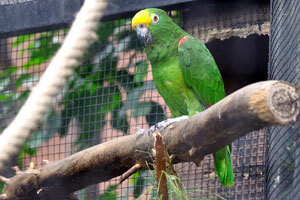 The yellow-crowned amazon or yellow-crowned parrot “Amazona ochrocephala xantholaema”. 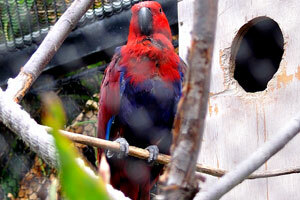 This male parrot belongs to the “Eclectus parrot” species. 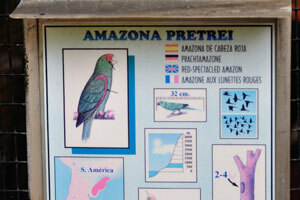 The information panel reads “Amazona pretrei, Red-spectacled amazon”. 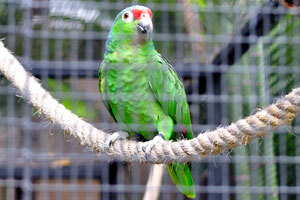 The red-spectacled amazon “Amazona pretrei” is a species of parrot in the family Psittacidae. 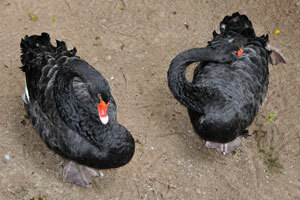 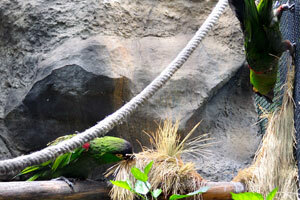 The red-spectacled amazon is 32 cm (13 in) long. 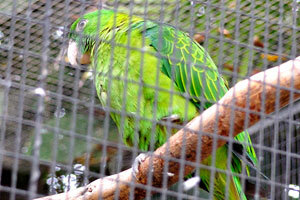 The Salvin's amazon parrot “Amazona autumnalis salvini”. 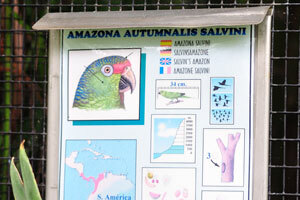 The information panel reads “Amazona autumnalis salvini, Salvin's amazon”. 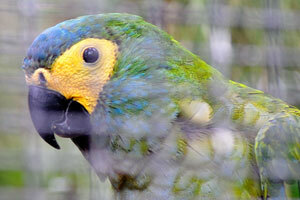 The blue-cheeked amazon “Amazona dufresniana”. 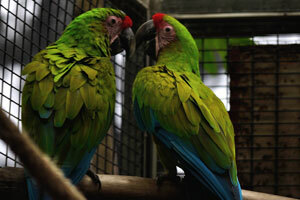 The yellow-crowned amazon or yellow-crowned parrot “Amazona ochrocephala ochrocephala”. 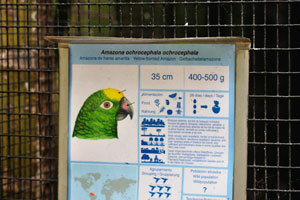 The information panel reads “Amazona ochrocephala ochrocephala, Yellow-fronted amazon”. 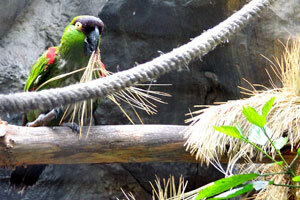 The red-bellied macaw “Orthopsittaca manilatus”. 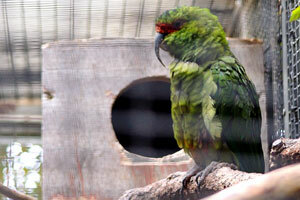 The maroon-fronted parrot “Rhynchopsitta terrisi”. 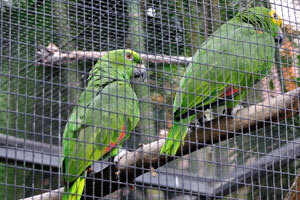 Maroon-fronted parrots live in mature pine, mixed conifer, and pine-oak forests from 2000 to 3500 meters. 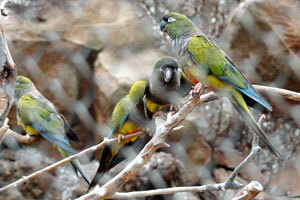 Maroon-fronted parrot is considered endangered due to overgrazing and habitat destruction. 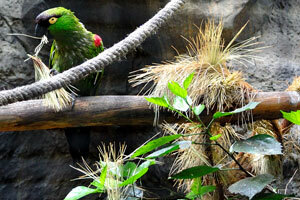 The special natural environment with pine needles was created in the park for the maroon-fronted parrot. 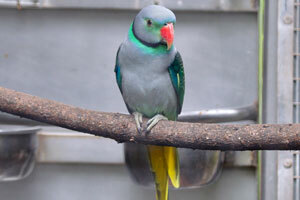 The slender-billed parakeet also called the long-billed parakeet “Enicognathus leptorhynchus”. 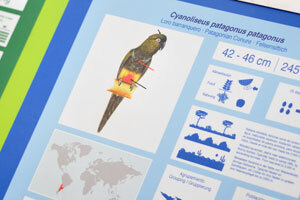 The information panel reads “Cyanoliseus patagonus patagonus, Patagonian Conure”. 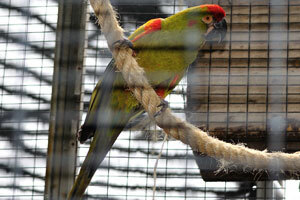 The burrowing parrot “Cyanoliseus patagonus patagonus”, also known as the Patagonian conure. 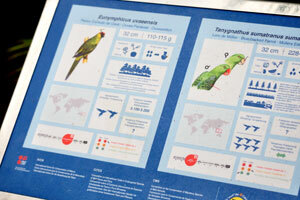 The information panel reads “Tanygnathus sumatranus sumatranus, Blue-backed Parrot”. 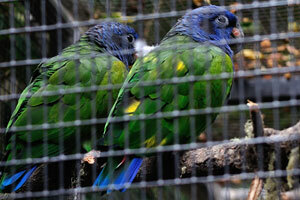 The blue-backed parrot “Tanygnathus sumatranus sumatranus”. 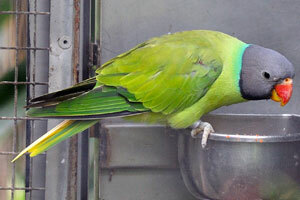 The blue-winged parakeet, also known as the Malabar parakeet “Psittacula columboides”. 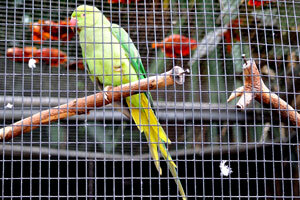 The blue-winged parakeet is a species of parakeet endemic to the Western Ghats of southern India. 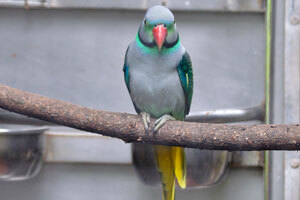 The grey-headed parakeet “Psittacula finschii”. 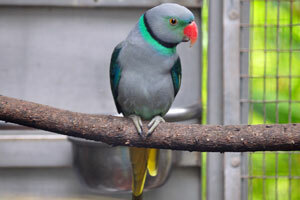 The Alexandrine parakeet “Psittacula eupatria eupatria”. 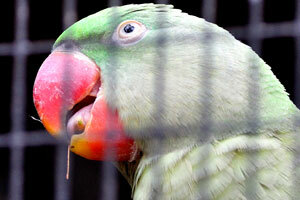 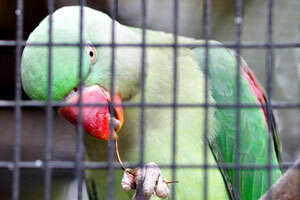 The Alexandrine parakeet is one of the largest species of parakeet (long tail) species. 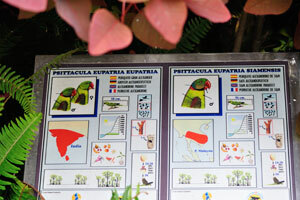 The information panel reads “Psittacula eupatria eupatria, Alexandrine parakeet” and “Psittacula eupatria siamensis, Siam Alexandrine parakeet”. 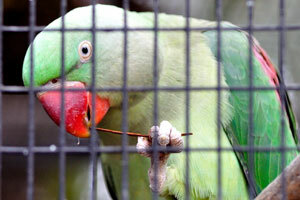 The rose-ringed parakeet “Psittacula krameri manillensis”. 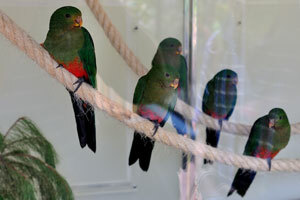 The eclectus parrot “Eclectus roratus” is unusual in the parrot family for its extreme sexual dimorphism of the colours of the plumage. 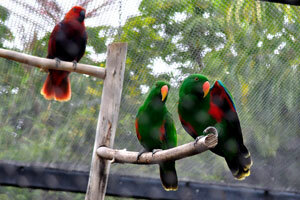 Eclectus roratus roratus, known as the grand eclectus, is found on Buru, Seram, Ambon, Saparua and Haruku in the southern Maluku Islands. 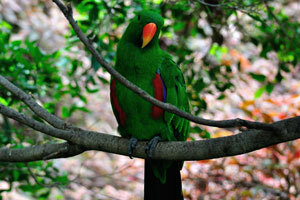 The male of eclectus parrot “Eclectus roratus roratus” has a mostly bright emerald green plumage. 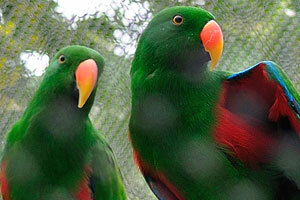 The eclectus parrot is the most sexually dimorphic of all the parrot species. 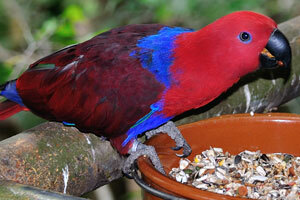 “Eclectus roratus vosmaeri” adult female. 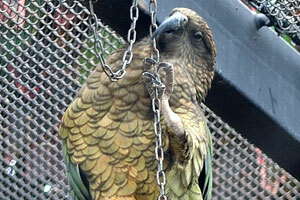 The kea “Nestor notabilis” is mostly olive-green with a brilliant orange under its wings. 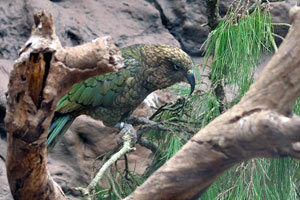 The kea “Nestor notabilis” is a large species of parrot found in forested and alpine regions of the South Island of New Zealand. 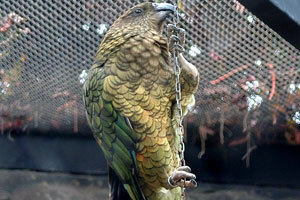 The kea “Nestor notabilis” has mostly olive-green plumage with a grey beak having a long, narrow, curved upper beak. 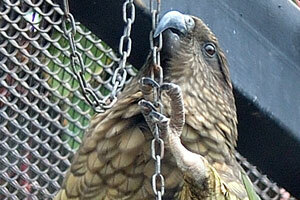 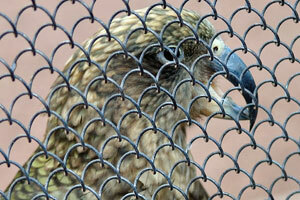 The kea “Nestor notabilis” has a large, narrow, curved, grey-brown upper beak. 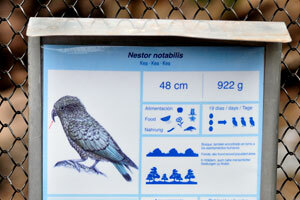 The information panel reads “Nestor notabilis, Kea”. 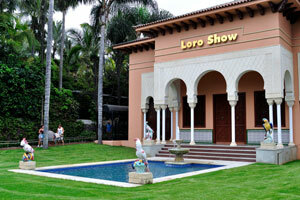 Two young female presenters are at the beginning of the Loro show. 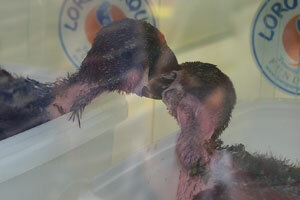 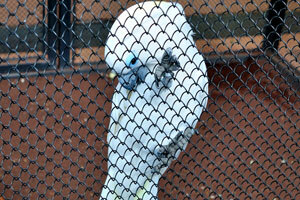 Сockatoo is riding the bicycle in the time of Loro show. 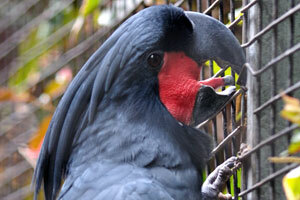 Blue macaw is performing on the Loro show. 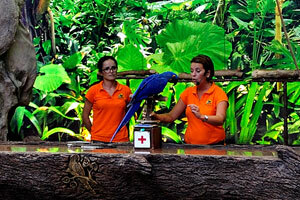 Blue macaw is flying on the Loro show. 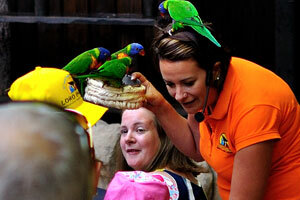 Rainbow lorikeet parrots are flying on the Loro show. 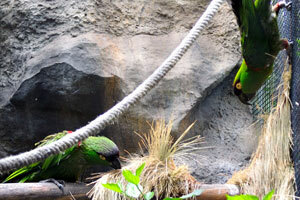 Rainbow lorikeet parrots perform on the Loro show. 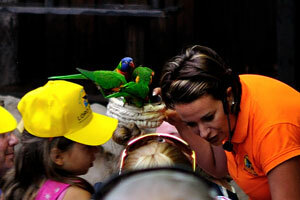 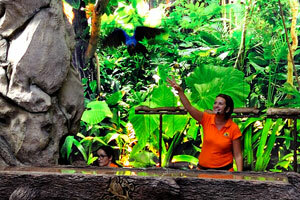 A female presenter performs with the rainbow lorikeet parrots. 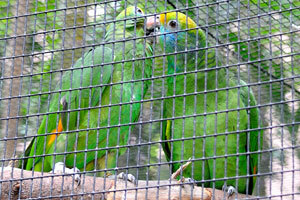 The vasa parrots “Coracopsis vasa drouhardii”. 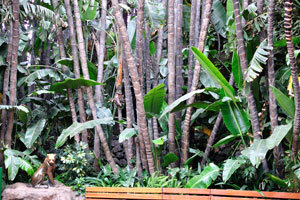 A bench is surrounded with the tropical lush greenery. 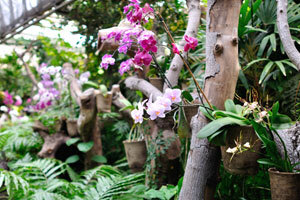 Beautiful orchids decorate the park. 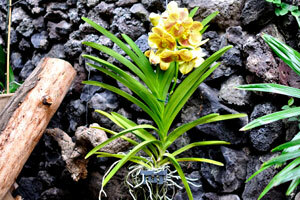 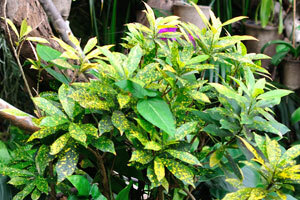 Variegated plant grows among the orchids. 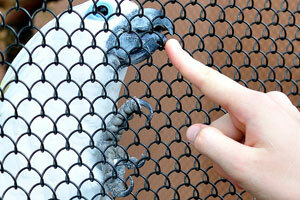 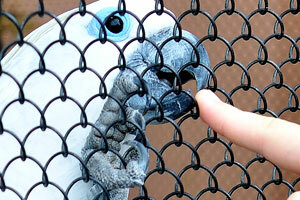 A girl touches the beak of white cockatoo with her finger. 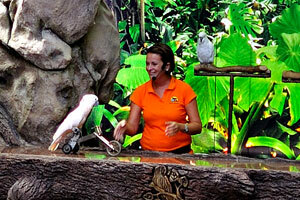 The white cockatoo likes to play with people. 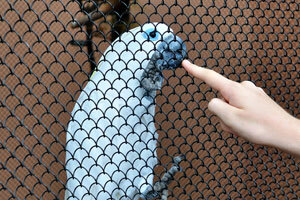 My son is touching the tongue of white cockatoo. 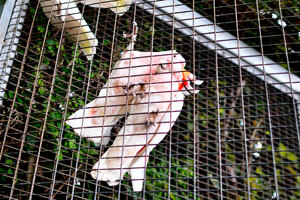 The bite of white cockatoo is very soft and tender. 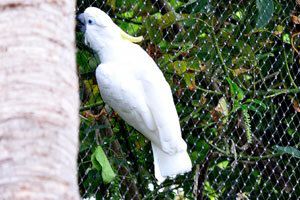 The tongue of white cockatoo is very soft and tender. 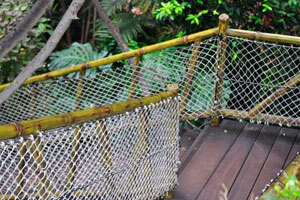 A wooden bridge connects the different areas of park. 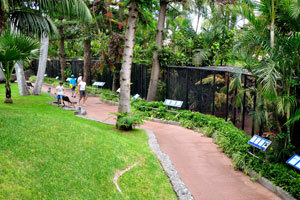 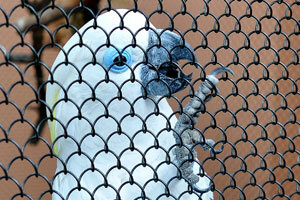 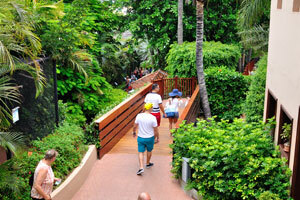 An exotic footpath lies along the cages with parrots. 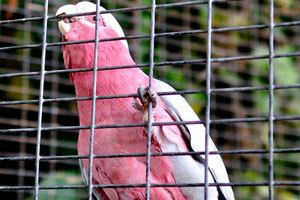 The Major Mitchell's cockatoo (Lophochroa leadbeateri) also known as pink cockatoo. 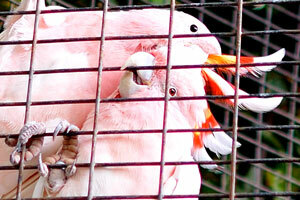 The Pink cockatoo male is on the left, and the female is on the right. 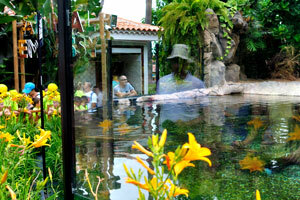 The small pond in park is surrounded with the protective transparent panels. 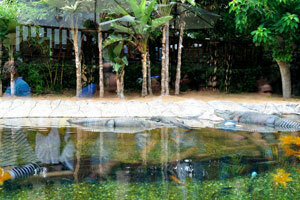 Dangerous crocodiles live in the pond. 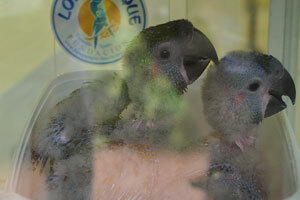 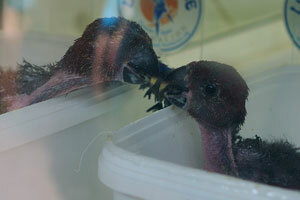 The red-fronted macaw “Ara rubrogenys” parrot chicks. 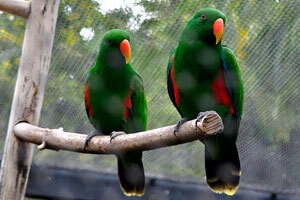 The “Eclectus roratus vosmaeri” parrot chicks. 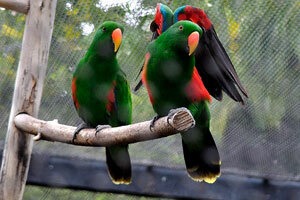 The “Eclectus roratus vosmaeri” parrot chicks are fighting each other. 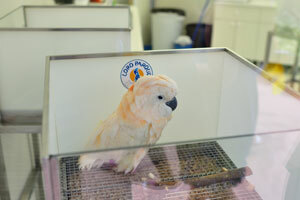 A cockatoo chick is in the baby station. 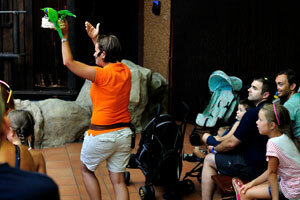 Parrots are in the baby station. 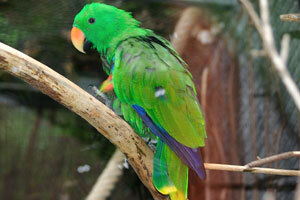 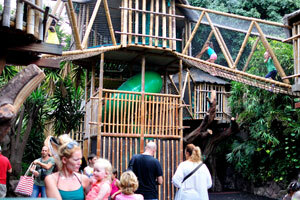 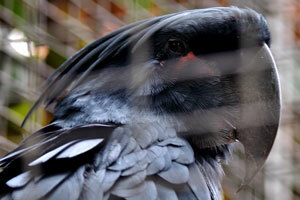 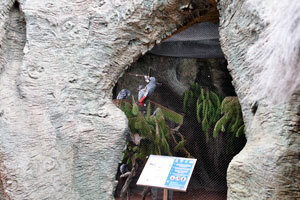 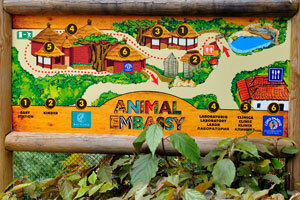 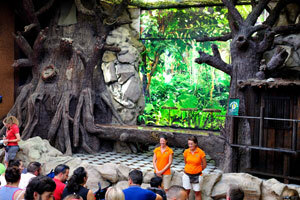 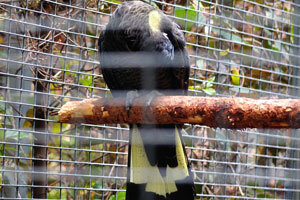 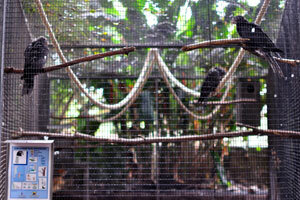 The parrot cage is decorated with an outer artificial tree trunk of huge size. 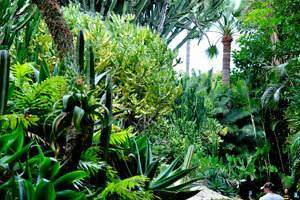 The park is immersed in lush greenery. 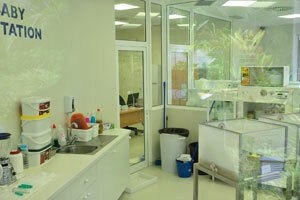 There is the Examination section in the laboratory. 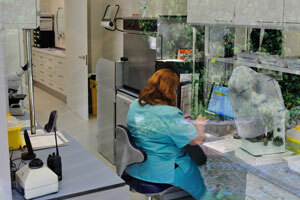 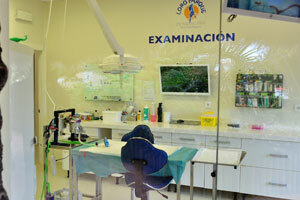 The examination laboratory is filled with the modern equipment. 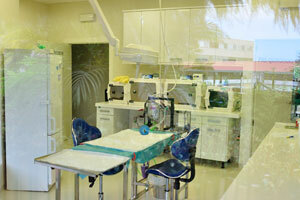 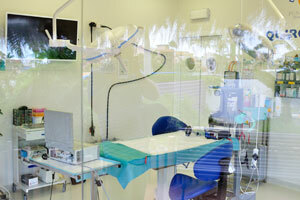 There is the operating room “Quirófano” in the laboratory. 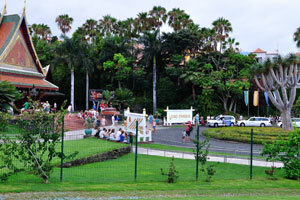 This is the square at the entrance to the park. 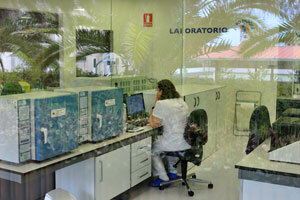 There is the Hematology section in the laboratory. 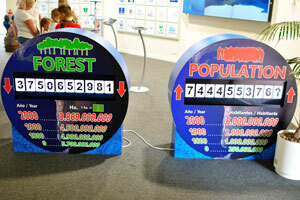 Decreasing numbers of forests and growing numbers of population are very frustrating. 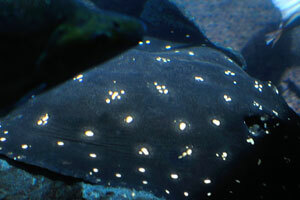 The Xingu River ray, white-blotched river stingray, or polka-dot stingray “Potamotrygon leopoldi” is a species of freshwater fish.